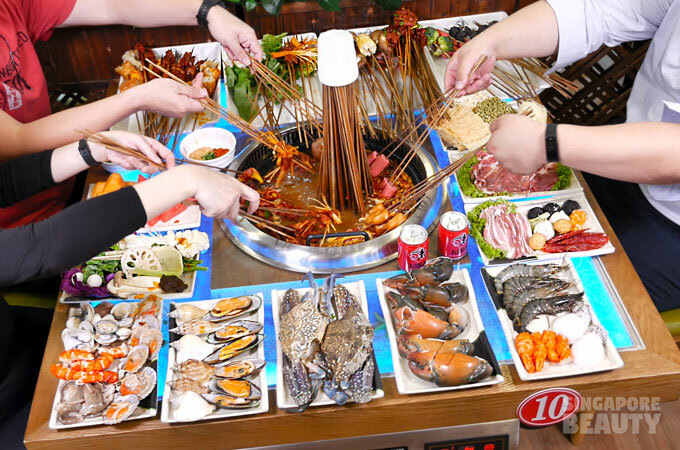 New Thai Tanic Seafood Hotpot has brought back the crowd pleaser free-flow live oysters shucked for you on the spot as part of pre-Christmas celebration. 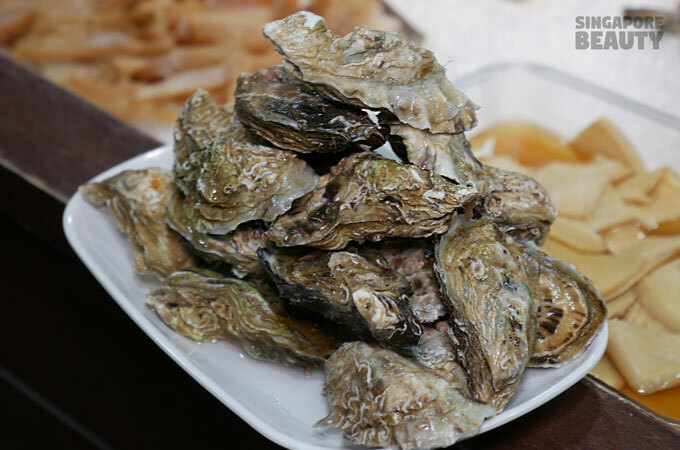 These live oysters are available from 28 Nov 2018 onwards. 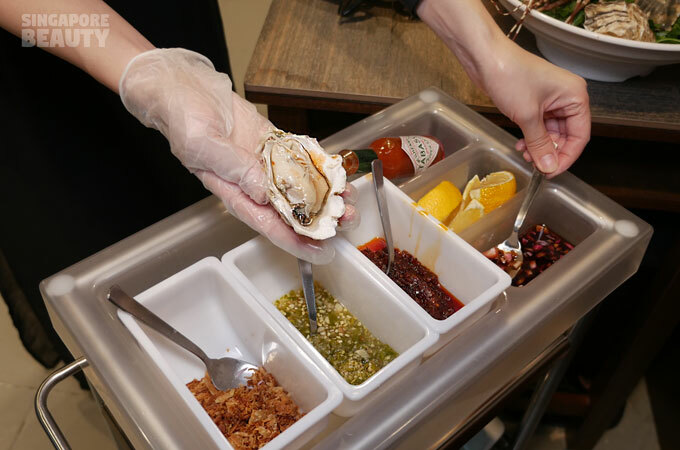 Pick your own live oysters from the tank and get them shucked at the show kitchen. 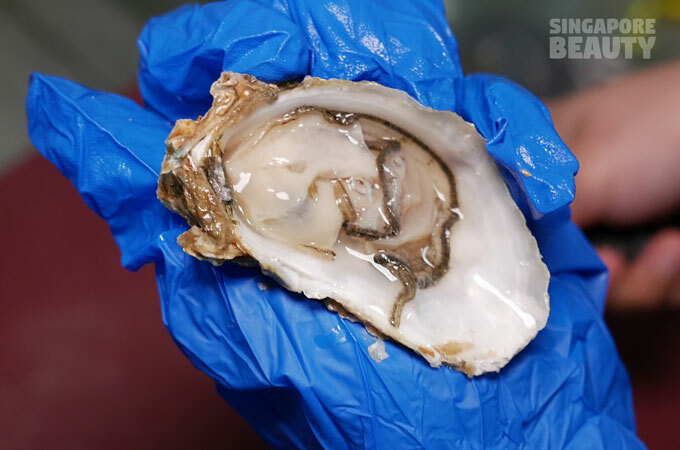 Beautiful mountain of live oysters that is so hard to resist. 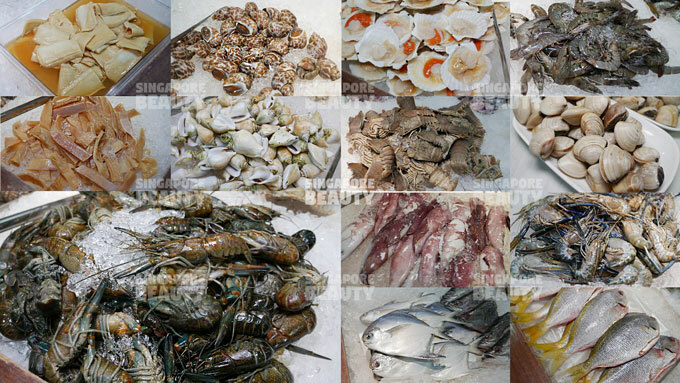 Catch your own prawns, mud crabs and other live seasonal seafood hauls at the freshwater tank. 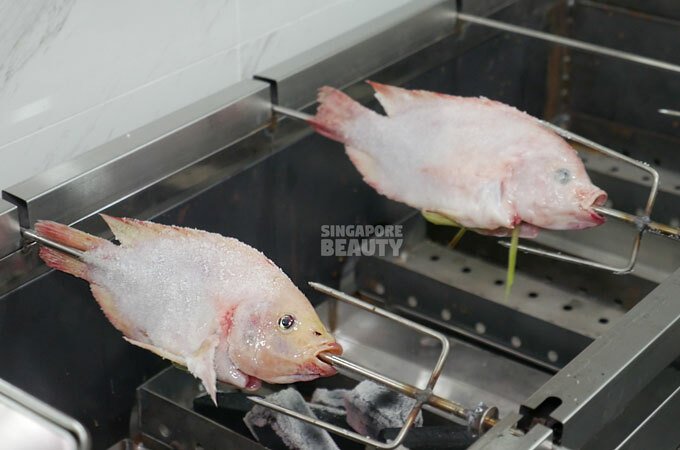 Do not forget the Pla Pao- sea salt crusted lemon grass charcoal grilled live tilapia fish that can be ordered at the show kitchen. Charcoal roasted over low heat till cooked. 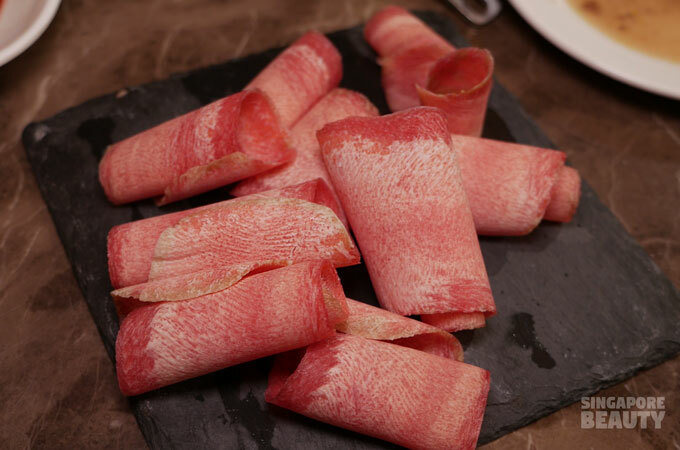 These pla pao are prized for their slightly saline juicy flesh that is delicate and infused with the goodness of lemongrass. 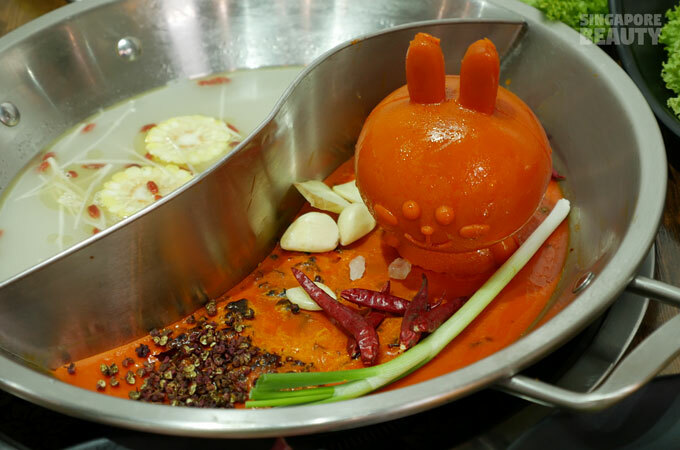 This is one of the must-order dish in New Thai Tanic. 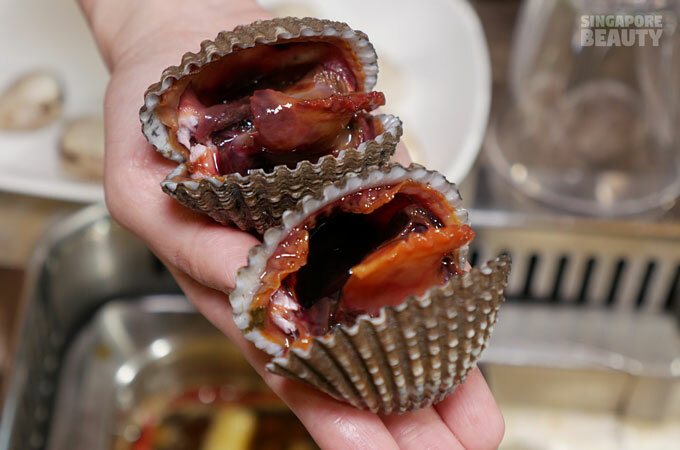 If you are a lover of blood clams, the blood clams at New Thai Tanic hotpot will not disappoint you. 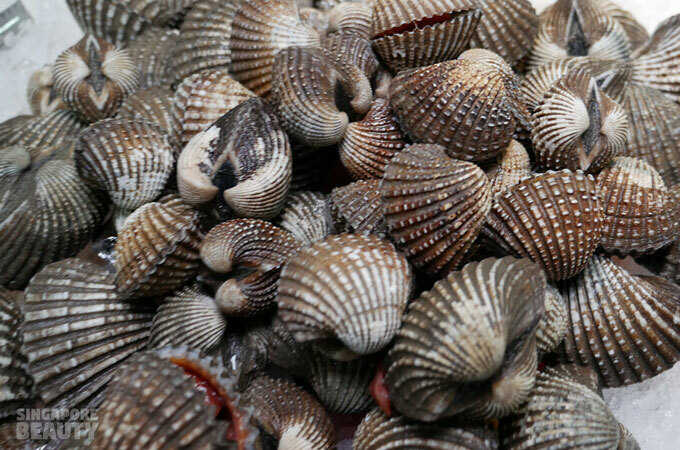 They are the size of half your palm. 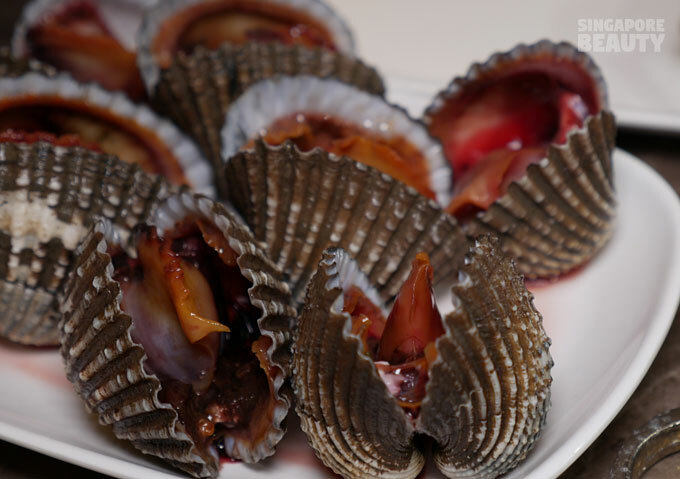 This is like a dream come true for lovers of blood clams or otherwise known as hums. 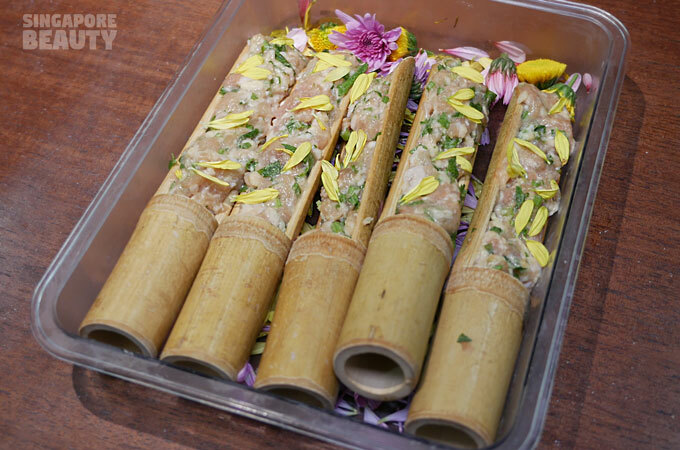 How about some handmade meat paste on real bamboo holders that looks too pretty to be eaten? 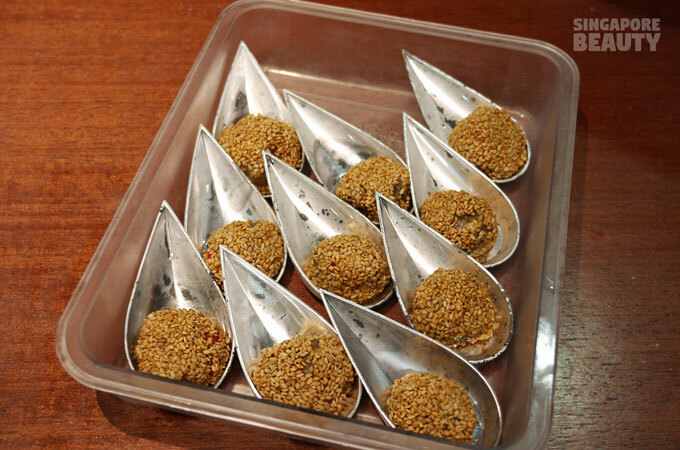 Roasted sesame meat balls will please those who love the well marinated meat balls with the crunch of sesame. 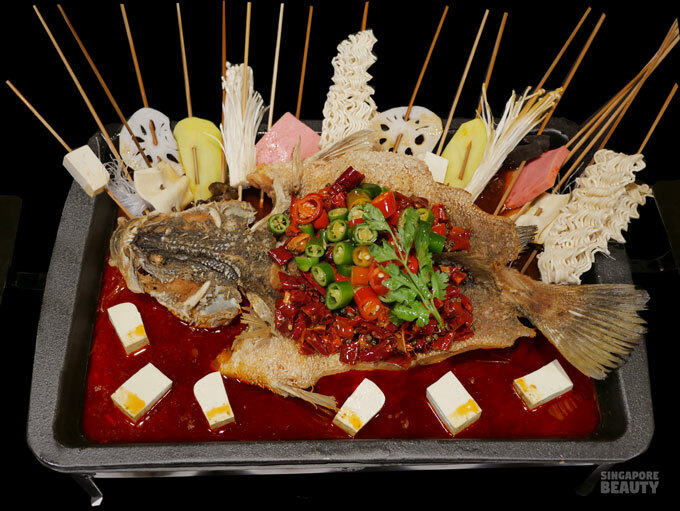 Here is another pretty squid paste cake for the hotpot that tastes as good as it looks. 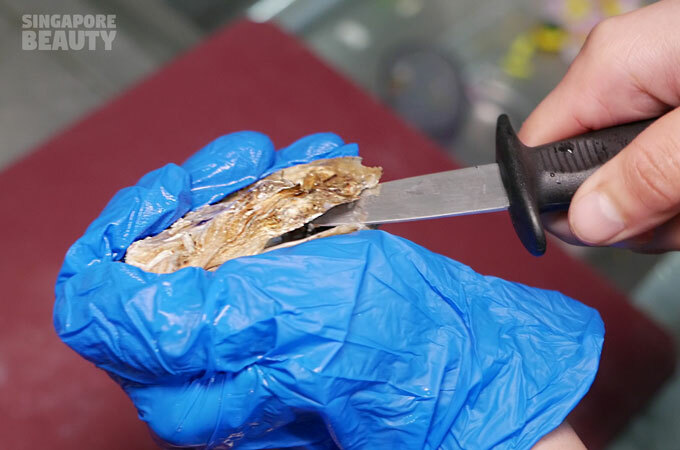 Handmade paste -chicken with glass noodle – that is springy when cooked. Prawn paste with chilli that is not for the faint hearted, these prawn paste with chilli pack a punch. 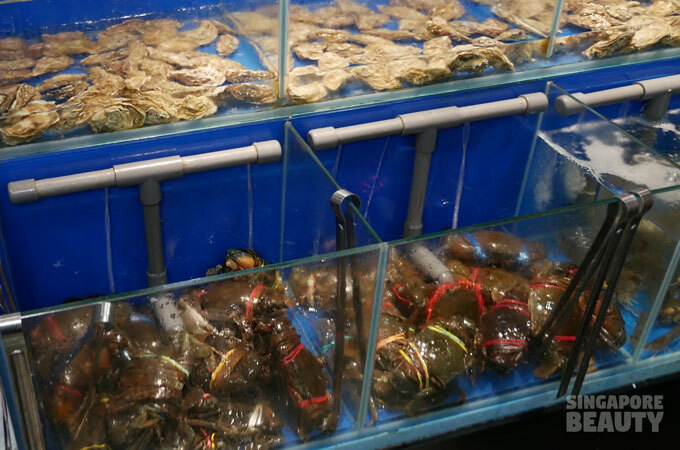 There are over 35 types selections in the display cabinet such as handmade paste(prawn, squid, fish, beef and chicken), Chinese dumplings, surimi(cheese sausages, snow crab legs), noodles(spinach noodle, mama Thai noodle, spicy noodle), greens, meats and innards(beef tendons, tripes). It is a visual feast. 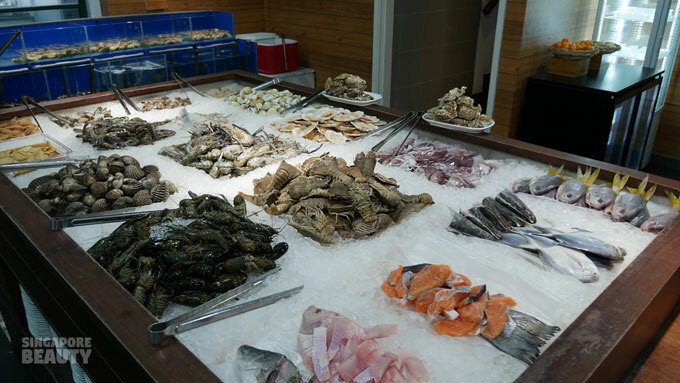 This New Thai Tanic “ship” has a wide selections of seafood on ice. 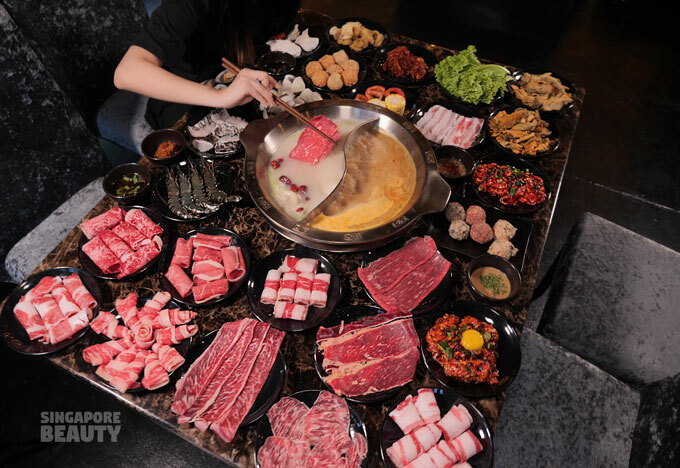 These are all free flow and you are welcomed to take as many as you can eat. 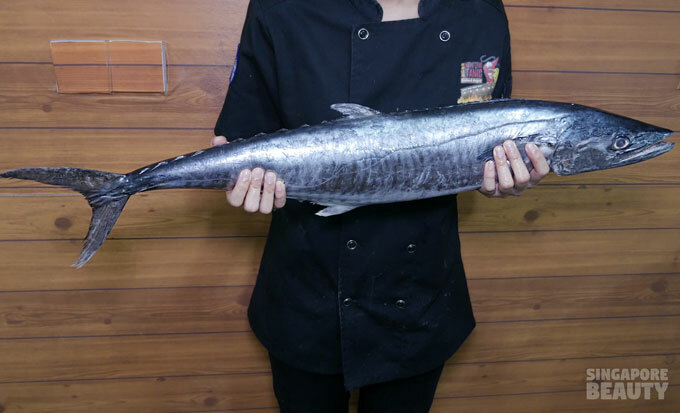 These are fishes that are filleted fresh daily (seabass, salmon, tilapia), whole fishes(pomfret,yellow tail fish), slipper lobsters, crayfish, squid, half shell scallop, Thai River prawns, XXL blood clams, prawns, abalone, cuttlefish, flower clams, gong gong and jelly fish. 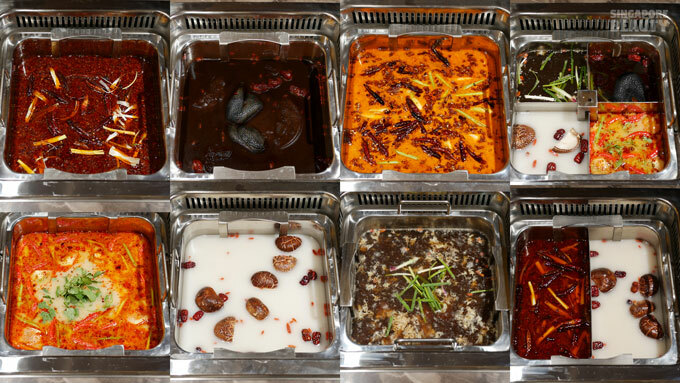 Choose from six soup bases – Mala, Tom-Yum-Mala, Tom Yum, Black Chicken Collagen soup, Shark Fin (mock) soup and abalone soup. 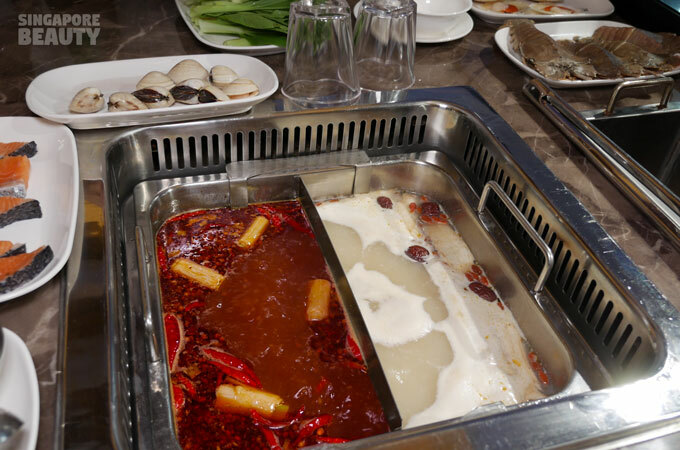 Choose a single soup base(that is included in the buffet), add-on duo soup base (+$12) or up to 4 soup bases (+$18). 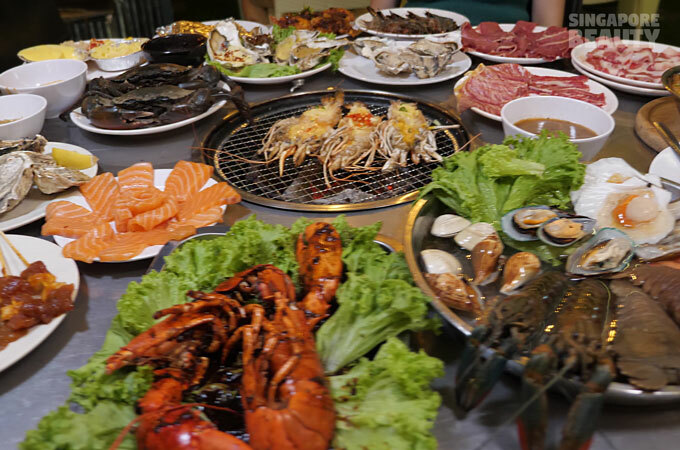 Cook a whole fish, mud crabs, octopus, prawns, river prawns, slipper lobsters, squid and many more in this huge duo hotpot. 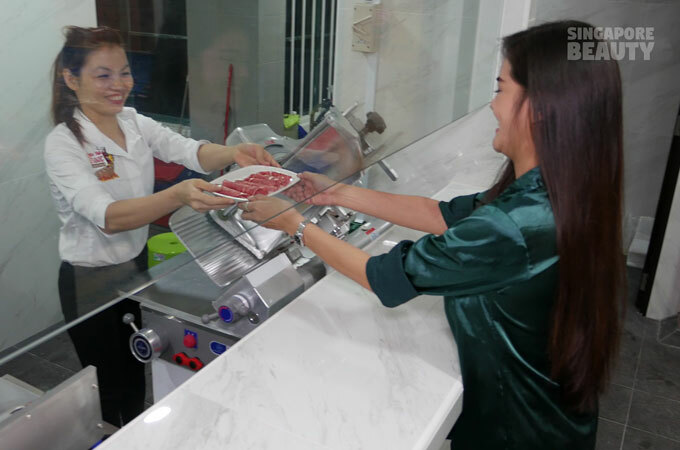 New Thai Tanic Hotpot is the first automated hotpot restaurant that elevated your food from the soup base at the touch of a button in Singapore. 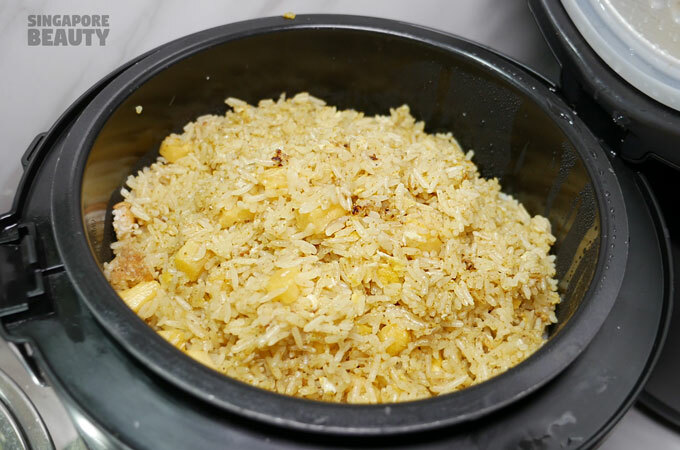 Pineapple rice is sure to please many with it aromatic golden grains and sweet pineapple chunks. 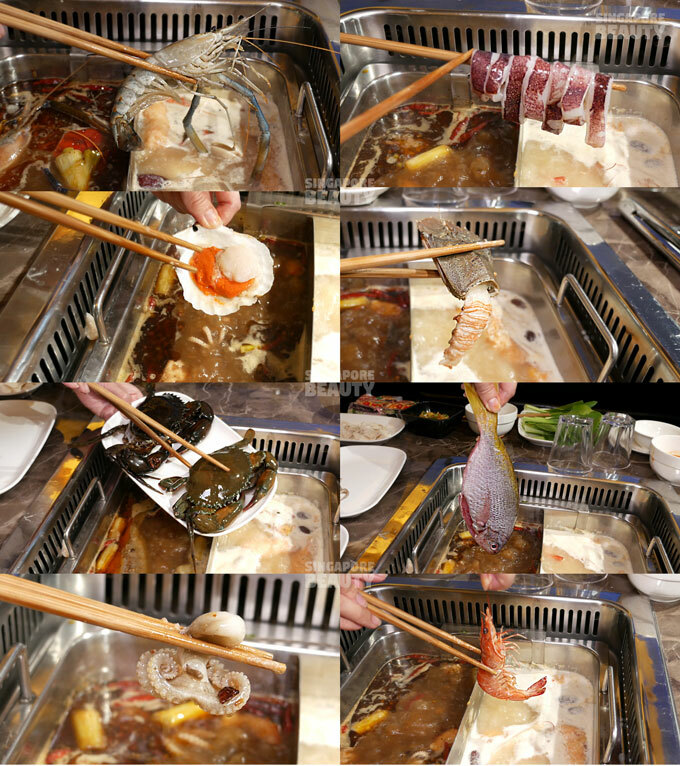 Beside the seafood, they also have freshly sliced shabu shabu meat station. 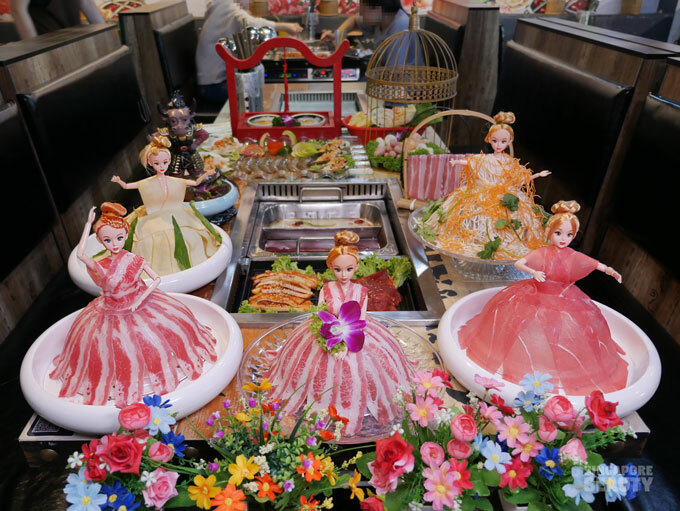 If you are a meat lover, they got you covered as well. 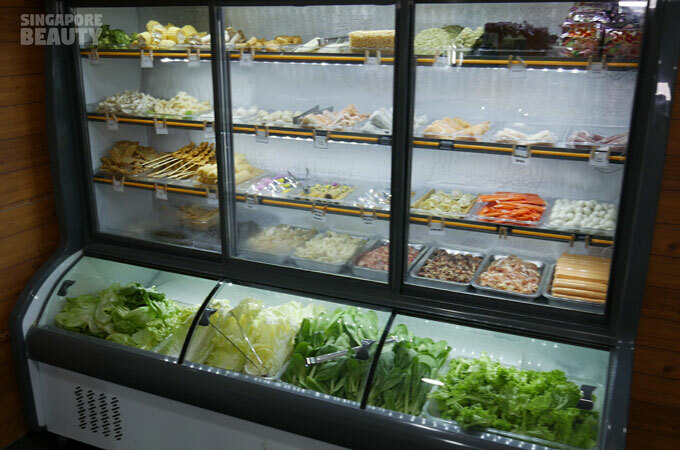 The dessert counter has variety of hot and cold dessert. 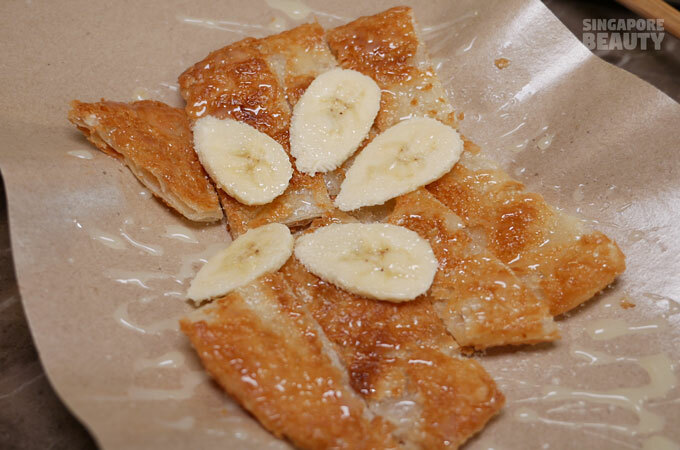 They have brought back a crowd pleaser again – roti banana that has crispy roti(prata) drizzled with milk and topped with real banana. 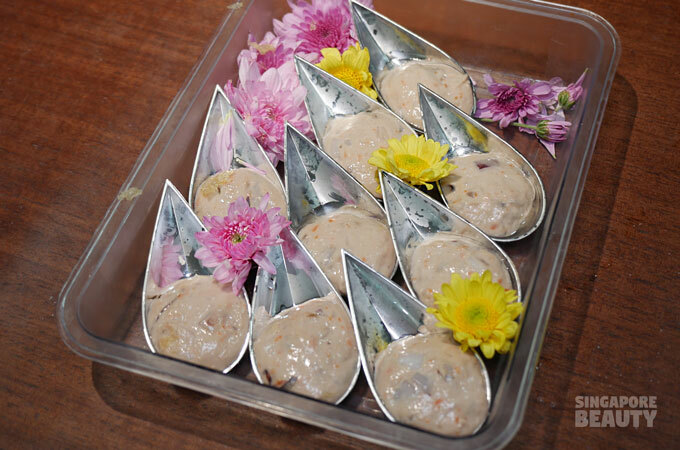 This is one of the must-order from the show kitchen as well. 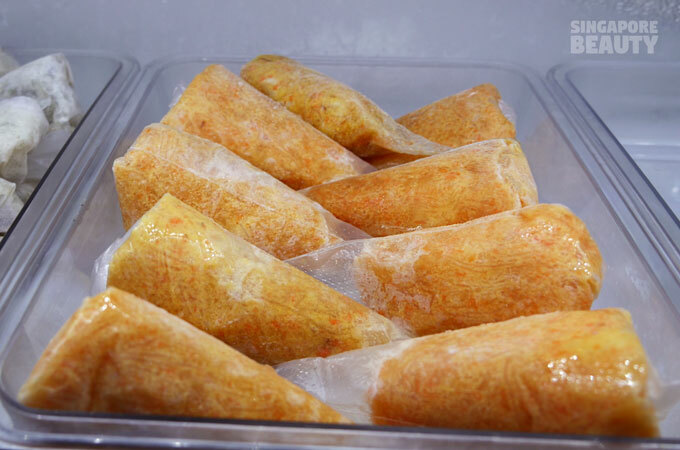 These are pan grilled fresh for each order, so expect a little wait. 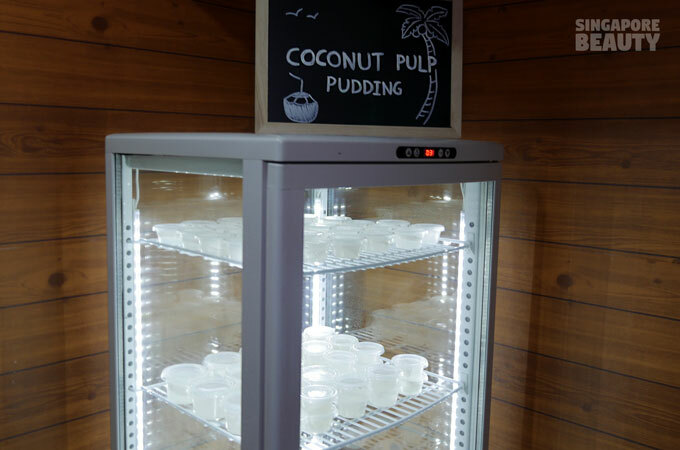 Cool down with some coconut pudding in this display cabinet. Made with real coconut juice and flesh, this is the dessert you should try. 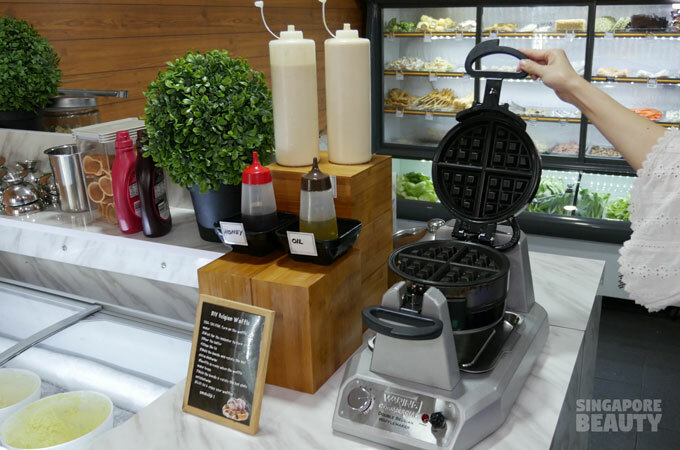 Be sure to oil the pan before adding your waffle for the extra crispy outside and fluffy inside type of Belgian waffles. 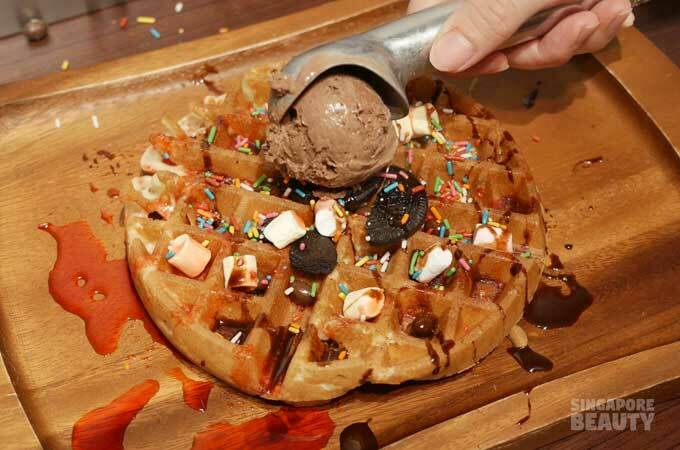 Make yourself some piping hot Belgian waffles with the DIY batter and top it off with some really cold creamy ice cream. 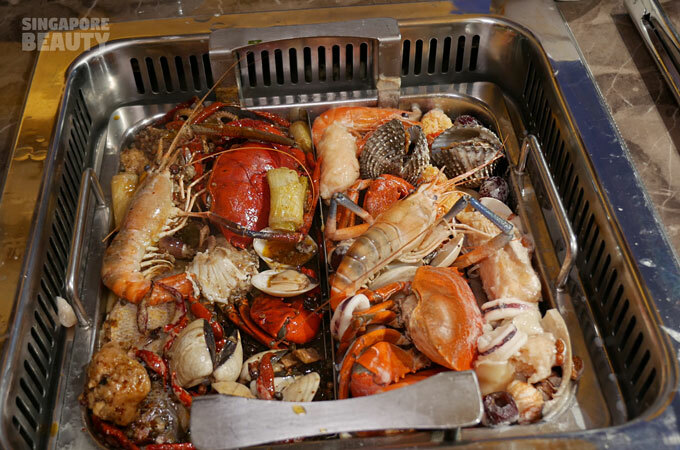 Head over to New Thai Tanic live seafood Hotpot now for Singapore’s First catch your own live seafood in the tank by table concept and automated hotpot buffet! They also have walk-in with SMS queue system.